RIAs are so angry at the SEC’s proposed Regulation Best Interest that some of them are threatening a lawsuit and calling for the regulator’s chairman to step down, according to FA magazine. At a seminar held last week in Philadelphia sponsored by the Institute for the Fiduciary Standard, several speakers slammed the SEC for what they say is a rule that favors broker-dealers over RIAs because the proposed regulation applies the term “best interest” to brokers without requiring them to abide by the fiduciary standard, the publication writes. Granting brokers the right to call themselves advisors, the critics say, is overstepping the SEC’s authority, according to FA magazine. And several industry professionals and lawyers say that if the rule goes into effect, a lawsuit challenging the rule “is virtually guaranteed,” the publication writes. 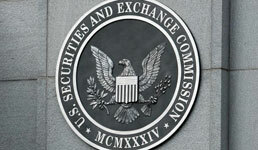 Some speakers, including Ron Rhoades, a professor at Western Kentucky University and a former advisor, have also called for SEC chairman Jay Clayton to relinquish his post, claiming he is favoring the broker-dealer industry at the expense of investors, according to FA magazine. Rhoades called the proposal “a vast conspiracy theory” between the broker-dealer industry, the SEC and the industry’s self-regulator Finra, the publication writes. Consumer advocacy groups, meanwhile, have also been critical of the SEC’s proposal — but far more sanguine than RIAs. A small survey conducted this summer commissioned by the Financial Planning Coalition, the Consumer Federation of America and AARP, for example, found that investors are confused by the proposed Customer Relationship Summary disclosure form, or Form CRS, which is part of Regulation Best Interest. But the groups have not gone as far as promising lawsuits and calling for Clayton’s resignation.